Order in the next 11 hours 28 minutes for delivery on Friday, June 21. For engraving, order in the next 10 hours 29 minutes for delivery on Friday, June 21. Order in the next 11 hours 28 minutes for delivery on Thursday, April 25. For engraving, order in the next 10 hours 29 minutes for delivery on Thursday, April 25. 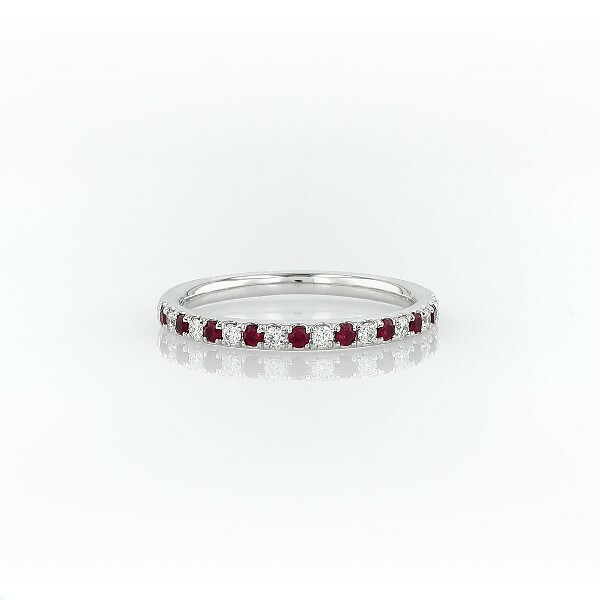 Radiant red rubies and brilliant diamonds set in enduring platinum makes this ring stand out. Stack this timeless wedding or anniversary band with other bands from the Riviera Collection to create a personalized statement.